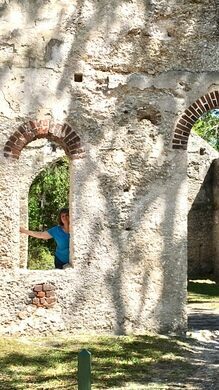 Less imposing than the better-known Old Sheldon Church Ruins off of Highway 17 in Beaufort, the Chapel of Ease Ruins are tucked away near where Martin Luther King Drive becomes Lands End Road on St. Helena Island. 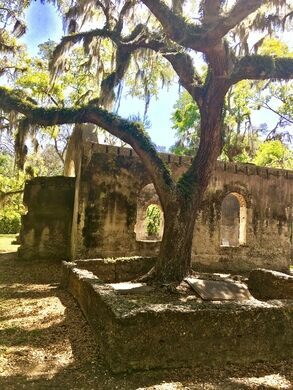 Constructed circa 1740 (The South Carolina Department of Archives and History) some of the planters who attended St. Helena Parish in Beaufort could not make the long trip to town each week, so a “chapel of ease” was built as a more convenient place to worship. 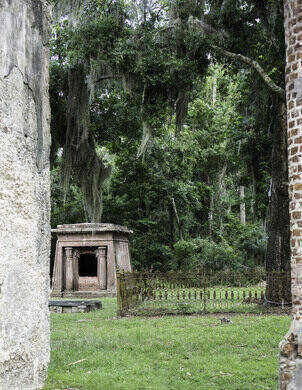 Set among oak trees laden with Spanish moss, only the church walls and small cemetery remain. Local lore has it that the ruins are haunted. This museum gives tribute to the underappreciated "Down-South Submarine." This ruined 15th-century hermitage is steeped in myth and mystery.